MKVToolnix is a set of video utilities to make, alter and inspect Matroska MKV files for free. MKVToolnix works as the mkvmerge GUI and mkvextract GUI. mkvmerge is to merge multimedia streams into a Matroska MKV file, while mkvextract (with MKVExtractGUI2) is to extract audio, video or subtitle tracks from Matroska MKV files into other files. 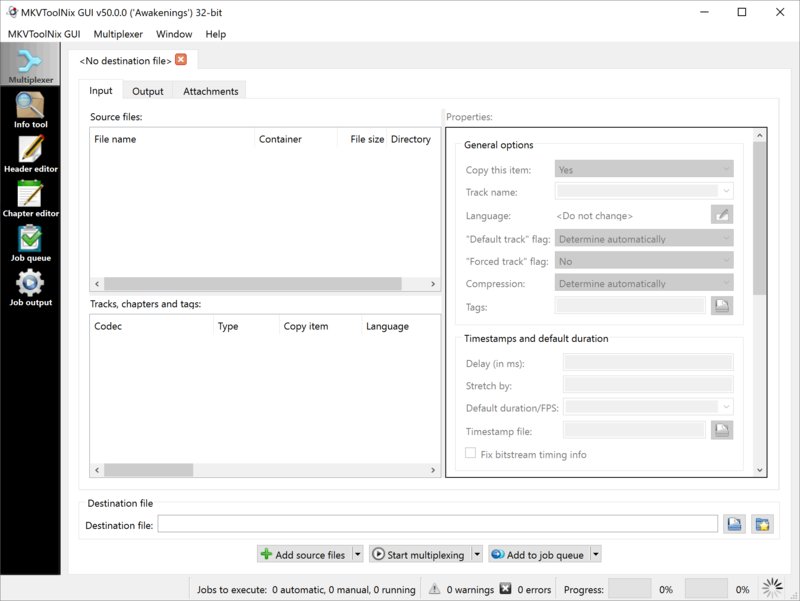 Then, You could use MKVToolnix as a MKV Creator, MKV Muxing Tool, MKV Splitter, MKV Cutter or MKV Extractor. What's new in MKVToolnix 10.0.0? This entry was posted in Audio & Video and tagged Matroska, MKV, MKV Converter, MKV Cutter, MKV Editor, MKV Muxer, mkv muxing, MKV Splitter, mkvextract, mkvextract GUI, MKVExtractGUI2, mkvmerge, mkvmerge GUI, MKVToolnix, video, video cutter, video splitter. Bookmark the permalink.